(Ph.D., Toronto, 1991) is an Associate Professor with research interests in historical and cultural geography, Latin America, and the history of geographic thought. 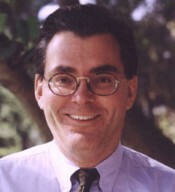 Professor Bell teaches courses on Latin America and various branches of historical geography. Ph.D University of Toronto, 1991. M.A. University of Toronto, 1980. B.A. The Queen's College, Oxford University, Honours Degree from the School of Geography, 1978.